Photography and photo art are the subjects of self-exploration and realization which involves the most perfect and unusual vision one perceives through a device, It’s like writing a sentence of pure aphorism, poetry or music. Having such vision through the lens is more than spirituality to me. 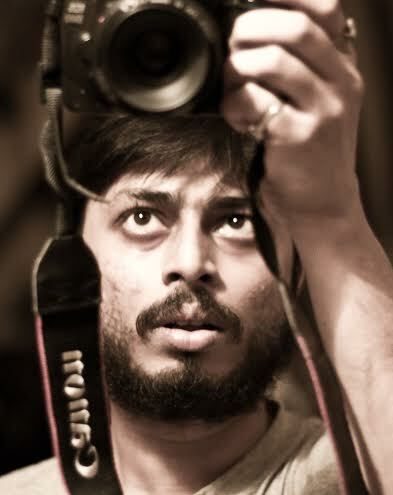 Swadesh Misra (born 1986, November 29th) lives in Kolkata, a remarkable city in India where every form of visual and performing art has always taken a new dimension and Kolkata is the most important hub of literature, arts and fine arts. Being brought up in such cultural ambience of the city, Swadesh got the chance to develop his form of artistic expressions like poetry, music and photography. He travelled across many places and captured the up close flamboyance of the nature, cityscapes, streets and people. Travelling is his passion and the only learning process of every form of artistic realizations. Swadesh Misra: I just started seeing through the viewfinder of the very first small Kodak film camera I bought out of my pocket money. That particular process of observing different frames gave me the motivation to click more. That was the first kick to start something different, something meaningful, I decided to go through a self-study and rigorous practice, later that sense of making a meaningful difference led me to have a DSLR camera. Then I got the right chance, freedom and a real path to develop my skills in order to create a shot with meaning, gradually which became the most important direction of my life – observing the world around me through the lens! SM: Experiences like travelling to different destinations, observing the nature and people very closely shaped my way of capturing the frames. Apart from that, working in different light conditions, places, subjects have got great impact to shape the way of my expression. AD: What artist is your biggest influence and are there any educators/people who pushed you further in your craft and changed your perspective? SM: I can’t end the list if I start telling as there are many names. My biggest influences are some great photographers like Henri Cartier Bresson, Robert Capa, Antoine D’agata, Steve McCurry, Prabuddha Dasgupta, Rui Palha, Bob Gruen, and many more. Since photography and photo art is a subject of artistic exploration some of my friends and philosophers guided me to find the real way to the world of vast exploration. AD: Your photography embodies such depth of contrast and captures so many sides of the human condition. How do you prepare for a shoot? Do you do any processing to the photographs? What is your favorite camera to work with? SM: I always keep myself very cool and patient during the shoot, meditativeness, concentration gives the ability to find out the logic behind each shutter pressed. It’s a mental process, you need not to hurry but you have to click the most perfect moment. Angles, perspectives create a shot ! Photography is spiritual and accidental. No one never knows when and where he or she’s going to get the frame. Yes, I do processing in some of my photos if I find that needed. To me post processing is the most essential part of digital photography it’s believed that the concept of darkroom has got a new form of the digital era called ‘Photoshop.’ Still I try to lessen my dependence upon Photoshop or post processing. I have a Canon DSLR EOS 550D, My own camera is my favorite camera to me, apart from that gear I have worked with Canon EOS 5D Mark II, Nikon 7100. They’re also of great results. SM: I’m working with some clients from the music industry as a photographer, and I’m designing a plan to write a travel photo story with my photographs and writings.